POWERFUL PORTABLE SPEAKER: High-performance 5W driver makes room-filled loudness, bass strong and deep. Lightweight compact design with LED mood lights, you can easily carry this portable wireless speaker/portable radio on the go! perfect companion for outdoor activities. 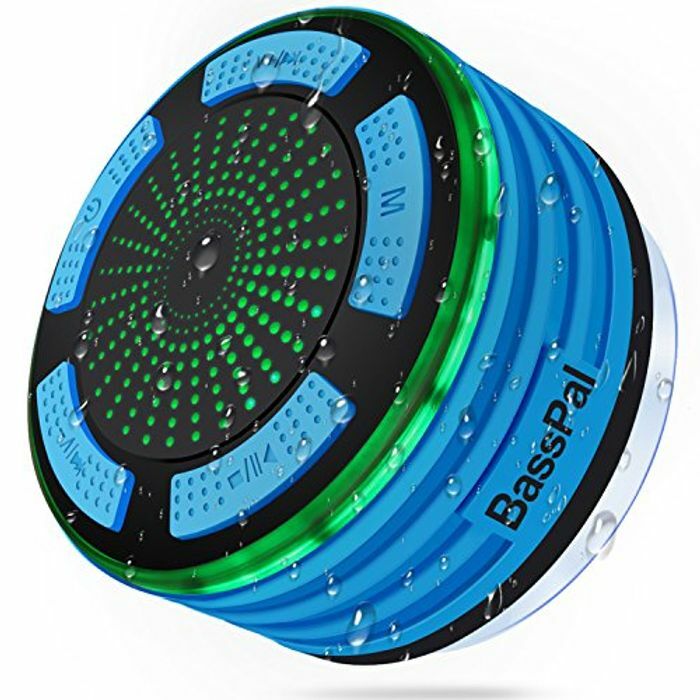 EASY TO USE: Easy and fast connection to your iPhone/iPad/Phones/Tablet, from up to 33 feet away; Built-in FM radio and microphone, when you listen to favorite station in shower, and will not miss important calls, these are just a few speaker buttons click!